This is a 4 part blog series about configuring Cisco ISE 2.0 for WLAN authentication and WLAN Guest authentication (split into two parts) on a Cisco Wireless LAN Controller (WLC). The Authorization profile will be created first, then the authentication and authorization policies are configured. The authentication rule ensures that ISE accepts all of the MAC authentications from the WLC and makes sure it will pursue authentication even if the user is not found (and thus the client needs to receive a portal redirect). The second line is used when an unknown mac address is encountered (user is not authenticated yet), the result will be a redirect to the webportal using the DOMWLC01_CWA authorization profile. The first line is used when the user authenticates with the guest portal. 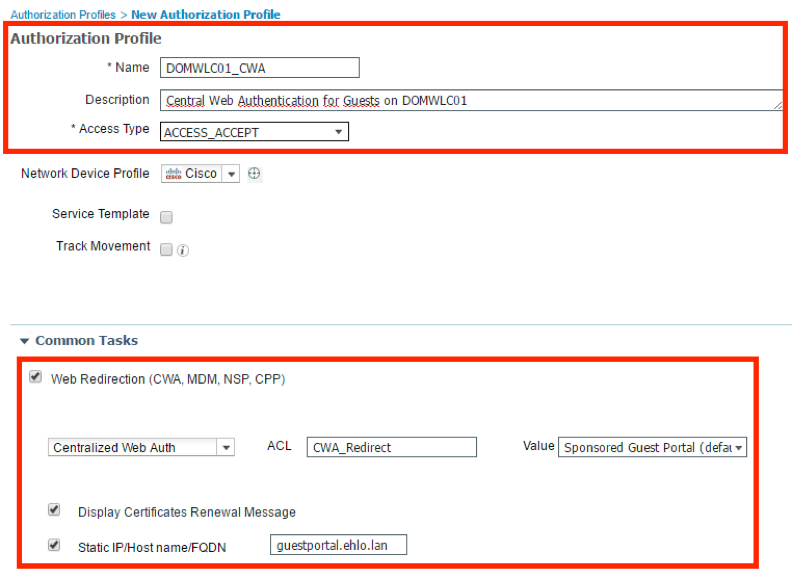 This part cannot use the DOMWLC01_CWA authorization profile, as it would trigger an authentication redirect loop. The above sequence used is mandatory, the guest redirection rule should be configured AFTER the PermitAccess rule. Upon first authentication attempt, users are redirected to the guest portal, using the “Guest Redirect to Portal” rule. The “Authenticated Guest” rule isn’t hit, because the user’s mac address isn’t member of one of the various guest types. After authentication in the guest portal, the user’s mac address is mapped to the given guest account and is granted access. Upon authentication in the future, the mac address is already matched with the guest useraccount in the ISE database, and the user is granted access using the “Authenticated Guest” rule. Thanks to Dominique Hermans (follow him on Twitter) for his great help with these Cisco ISE 2.0 blog posts!